Solid and household waste in Gitega is generally piled up in the streets or thrown into the gutters. This leads to the proliferation of disease and the pollution of water sources. The city loses an estimated $30 million per year in treatment costs and from reductions in economic and tourist activity. 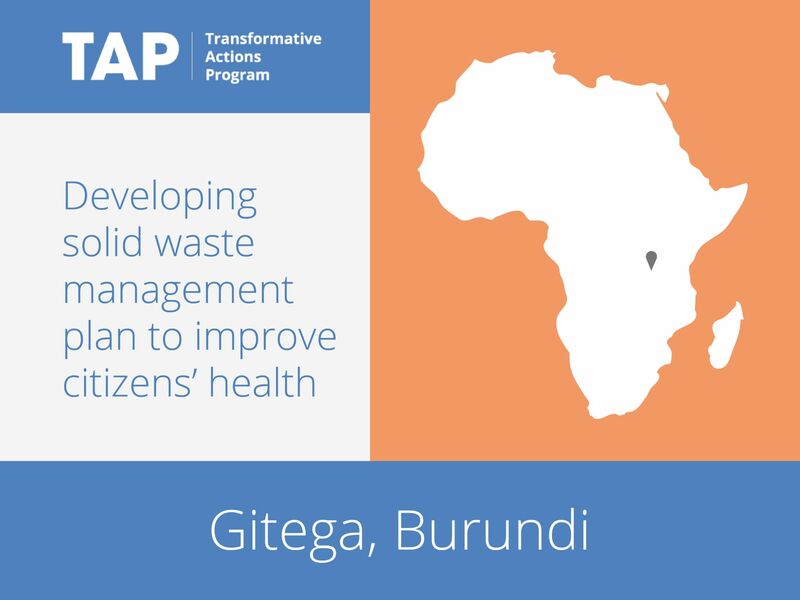 Gitega is responding by developing a solid waste management plan. This involves raising awareness through education, promoting the separation of household waste into categories, and providing waste collection and recycling services. This will create jobs as well as benefiting citizens’ health, the environment and biodiversity.